Days before they were scheduled to fly to Grand Cayman for their 1 April Destination Wedding, this British couple from Tyne & Wear learned that their flight had been canceled due to some recent strike activity by the airline. Luckily, they were able to make alternative flight arrangements, and their wedding took place as scheduled at the Cayman Castle villa in East End. Whew! 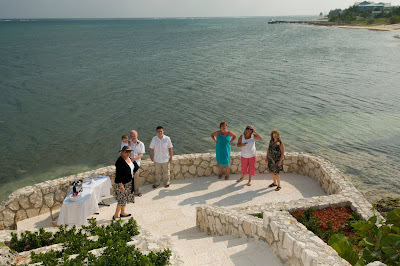 The setup for their Tropical Splendour package at Cayman Castle. Two bottles of Simply Weddings bubbly and a 10-inch cake included! The ceremony was held on a landing overlooking the sea. 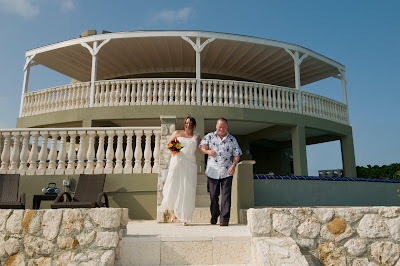 The bride is escorted down the stairs from the Castle, to her waiting groom. 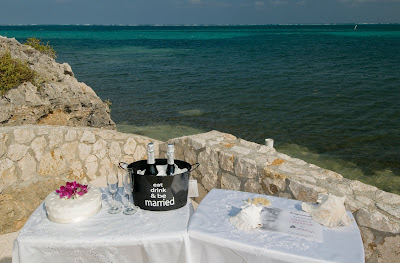 A memento we give to every couple who has champagne at their ceremony. 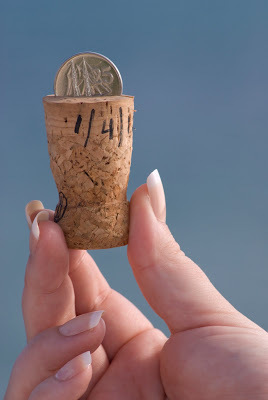 Its the cork from their first drink as husband and wife, with the date and a Cayman quarter. 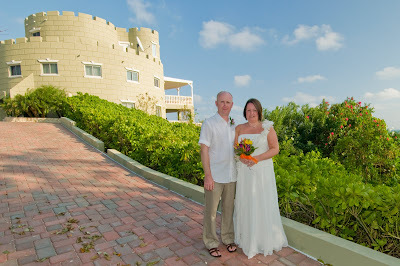 The newlyweds with their Cayman Castle in the background. Contact Simply Weddings - Grand Cayman Wedding Celebrants and Planners today to start planning your dream destination wedding in the Cayman Islands! 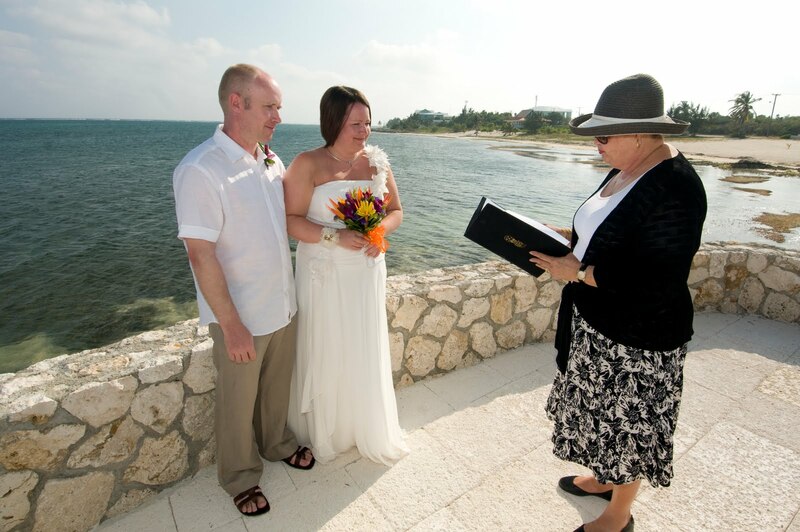 From Seven Mile Beach to a private villa in East End, we perform your ceremony at the location of your choice! Photos by Heather Holt Photography. Cake by Caykes.